Forbidden Sky, the latest in the Gamewright Games series of cooperative “Forbidden” games, challenges players to work together to build a circuit and launch a rocket ship before a storm sweeps them away! Soar to dizzying heights in this electrifying adventure! 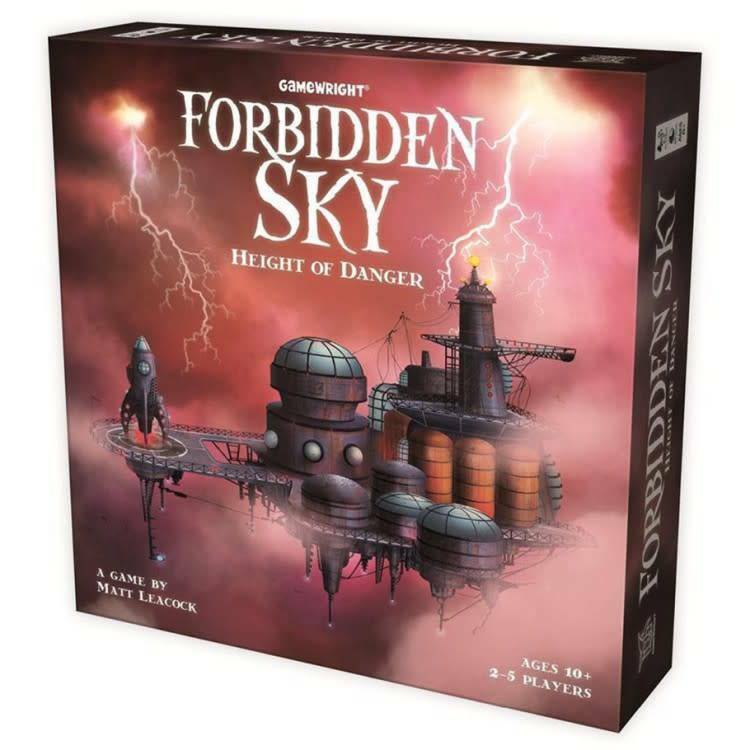 Work as a team to uncover a mystical power platform that floats at the center of a savage lightning storm. Connect a circuit of cables to launch a secret rocket­all before you are electrocuted or blown off the bridge and plummet below. It's a high-wire balancing act that will test your team's capacity for courage and cooperation. One false step and you all could be grounded ... permanently!